We are pleased to welcome you to our practice. 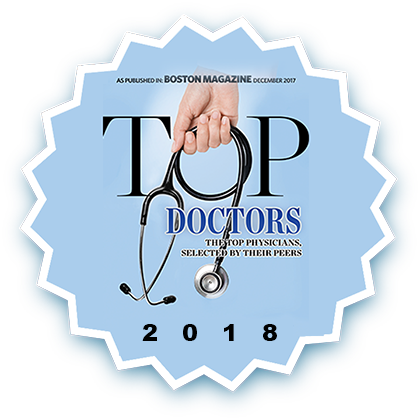 The doctors at Digestive Health Specialists have trained at some of the very best academic medical centers in the country, have been designated “Top Doctors for 2017, 2018 and 2019” in Boston Magazine, serve as clinical instructors at Harvard medical School, have specialized expertise and remain at the forefront of Gastroenterology. Click here to learn more about the doctors and nurse practitioners at Digestive Health Specialists. Please note the PATIENT PORTAL sign-in tab above, on the left, where you can review many test results in advance of speaking with the Team at Digestive Health Specialists. Our website also provides you with the background about our gastroenterologists, staff, office hours, financing policies, appointments and procedures, maps, directions to our office in Chelmsford and other useful information. We know how hectic life can be and are committed to making our practice convenient and accessible. And we want you to feel confident that when you choose Digestive Health Specialists, PC, you're working with professionals who are qualified, experienced and caring. Please take a few moments to look through this site to get a better feel of our practice, capabilities and services. We also invite you to email or call our office at any time to request an appointment or ask any questions. Thank you.